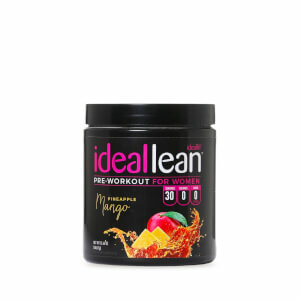 I swear by the ideallean pre-workout drink mix. I feel extremely energetic during my boot camp and boxing classes. 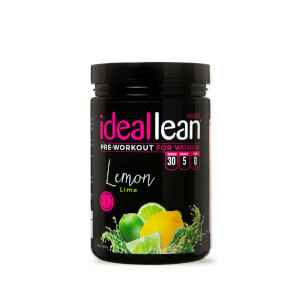 Cherry limeade is my favorite flavor and strongly recomend if you’re laboring through your workouts. I've only used it twice so far. I've started with only a half scoop until I get used to it. It gives me the tingling feeling in my face, arms, and hands but that's whatever. I do like that it takes hardly no time at all to kick in and it definitely gives me more energy while I'm working out. As far as the taste it's ok I guess. It kind of tastes like a flat cherry limeade soda from Sonic. I can get over that as long as it does its job. All in all it does what its supposed to so I can over look the taste. I like the flavor. And it definitely gives me energy for my workout. It does make me a little tingly and itchy. But it goes away. I've tried almost all the flavors and this one IS my favorite! The blueberry is sour, the watermelon is a little funky for me, no complaints about the pineapple mango is good. But this one is the BEST in my opinion. :) Good clean energy. Love! Hey so I love this flavor and have ordered it multiple times with no issues. Unfortunately with my last order I received a bad batch. The flavor smelled and looked gritty and gray. This was not the usual amazing product that I have come to love. Thankfully, customer service was amazing and handled it like a pro. I'm posting about this in case somebody else got a bad tub, please know it should not look gray and smell gritty. It should be pinkish and smell wonderful. I love this stuff. Anything Cherry I am all over. Not too sweet and gives mea ton of engery before my workout! I love the Cherry limeade flavor it is not overwhelming or strong. The energy I get from it is perfect just what I need to complete a good workout even when I'm struggling. 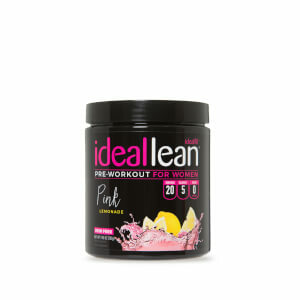 The preworkout does give me a slight tingling sensation but not bad. Definitely not enough caffeine in this product, flavor is so-so.